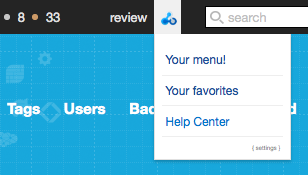 The Help Center link is not removed; to do this, add ?help-remove=yes to any URL. And to open the HC link as _blank (in a new window), use ?help-blank=yes. The script is compatible with the browser extensions Greasemonkey and Tampermonkey. Clicking the "download / install" button below should bring up an extension dialog asking if you want to install the script. - Version 1.0: Script launch. Ah, figured out how to remove the About Us and Business from the list. 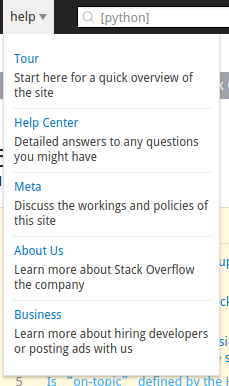 The problem is because, there're two more links have been added into the help menu, so they're also auto added into the Turbocharged Help Menu. They're from line 124 to line 132 (before changed).